He worked on Nelson Piquet’s and Niki Lauda’s car at Bernie Ecclestone’s Brabham team before becoming a leading figure inside Formula One. Charlie Whiting’s long career started at the garage of his elder brother, Nick, before he was climbing up the motorsport ladder to reach the top. 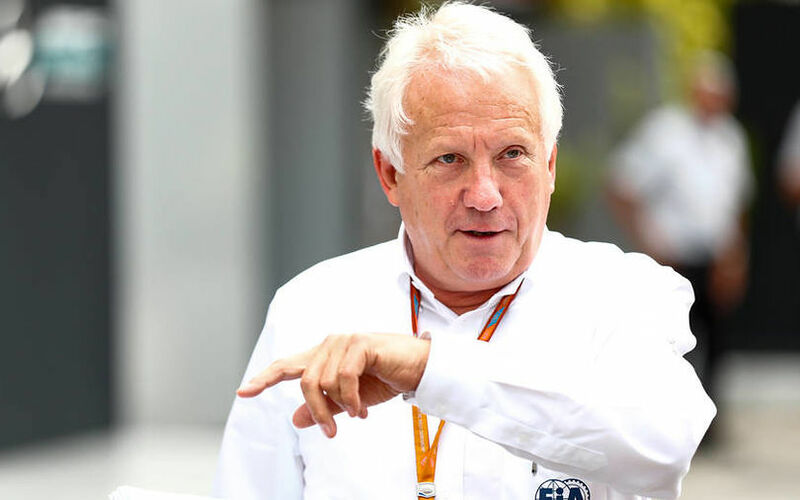 Charlie Whiting’s sudden death from a pulmonary embolism in Melbourne last Thursday has left the whole Formula One community stunned and saddened. The Briton has been a central pillar not only inside Formula One, but the entire motorsport for over three decades and his death at the young age of 66 has left an immense void that will be hard to fill. Motorsport was his lifeblood and he was lifeblood to motorsport. Whiting grew up in a farm in a happy family. He only reached the age of ten, when his elder brother Nick was already working on his career as a racing driver. The ambitions of Nick were enough for infecting Charlie with petrol. The then only 12-year-old knew that the thing that really interests him was working on cars. After each school day and at weekends, he spent long hours at Nick’s garage to work on racing cars. At the age of 25, Whiting joined the Moving Circus when he became a mechanic at the Hesketh team. The British squad was famous for a driver who went on to become the starr of the ‘70s. James Hunt, who produced one of the most thrilling and iconic driver against driver battle of the sport with a certain Niki Lauda, scored his first win with Hesketh. At the end of 1977, the British outfit was struggling financially, and when it became evident that it can only field a single car on the grid in the following year, Whiting decided to leave the team and joined the Bernie Ecclestone-led Brabham squad. Just after joining this team, Whiting started dreaming of becoming a mechanic for a world champion. He looked at Roger Hill who was the mechanic of Jackie Stewart. He himself described the thought of becoming once a mechanic for such a star driver as a “wild dream”. Dreams can sometimes become reality. At first, he could work on the cars of Niki Lauda and Nelson Piquet, before becoming the chief mechanic for Brabham. Those years were magical for the team as it helped Nelson Piquet claim the Drivers’ World Championship title in 1981 and 1983. Whiting loved working at Brabham not only because of the successes, but also thanks to the good atmosphere. “Very good, I think. He might think differently; I hope not!" 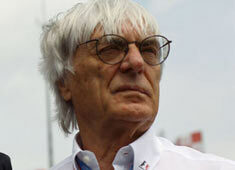 Whiting referred to his relationship to Ecclestone. "We had great times, a great team. It was fantastic. We always enjoyed ourselves - Bernie, Gordon Murray - who of course was the star of those days. He positively encouraged people to enjoy themselves and we had a very, very happy team. They were really good times,” he was quoted as saying by espn in an earlier interview. When Ecclestone sold his team in 1987, he suggested to Whiting to join the technical department of the FIA. He then started to work under the governance of Gabriel Cadringher who was the F1 Technical Delegate back then. It marked the turning point of Whiting’s career. As a mechanic, he used to work on making race cars faster and exploiting the limits of rule while, with his new role, he had to scrutineer every aspect of activities of teams, engineers, mechanics to make sure that everything is in compliance with the regulations. Whiting admitted earlier that he strongly believed that the FIA had all the necessary tools to monitor the teams, but there have been cases which caused for headaches. When Cadringher was appointed the senior figure of the FIA Constructors’ Committee in 1993, Whiting was handed the role of the technical delegate. A few years later, he was appointed the official race starter which probably contributed to his fame the most. That small, albeit tense and important part of his job is what is the most evident and visible to the public. The Briton said earlier that the excitement is still sky high when the race start draws nearer. 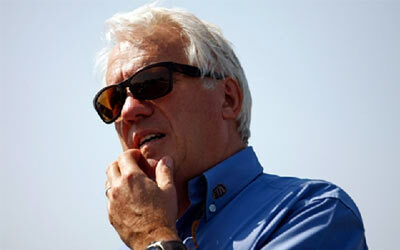 In 1997, the FIA appointed him the Formula-1 Race Director. He held this position for over two decades. The sport’s managing director, Ross Brawn said on Thursday that the visible part of Charlie’s job was only five per cent of what he did in reality. He was constantly in contact with the teams, racing tracks to make sure everything works as smoothly as possible. During his career as Race Director, Whiting made experience with how difficult his job can be on a several occasions. He said that one needs to have sometimes a thick skin to withstand the enormous pressure. The rain-affected races, accidents, technical controversies, drivers’ infringements or the deployment of the Safety Car are all parts of the sport which require a high degree of calmness. Whiting used to be under immense pressure during races. Drivers and teams used to be in contact with him via the team’s managers. Squads usually want to influence races in a way which is beneficial to them. The race control has to pay attention to every detail to make decision without being influenced by the teams. This is a difficult task which is even more complicated because of the fact that the race control has to take decisions in a split second. During the 2016 Korean Grand Prix, it started getting dark. One team continuously asked the FIA to stop the race on safety ground. However, after the race, the FIA found out that one of the drivers of the given team was using a dark visor which caused the problem. In contrast, no other driver opted for a dark visor. Whiting said that the race control has to see through the tricks and recognize the false reasons. Traveling back in time, a rather inconvenient controversy happened in 1999. Michael Schumacher was fighting with Mika Häkkinen for the world title before breaking his leg and being forced to miss six races. He returned to action for the penultimate race of the season. Dismissing the humidity of Malaysia, Schumacher went on to claim the pole position in his first appearance after the lengthy break. In the race, however, he had to play a supportive role to his team-mate Eddie Irvine who still had a shot at the title against Häkkinen. Ferrari claimed a dominant one-two finish at the end of the race. The race was still on after the chequered flag fell, though. FIA inspected Ferrari’s car thoroughly and found out that the bargeboards were illegal. 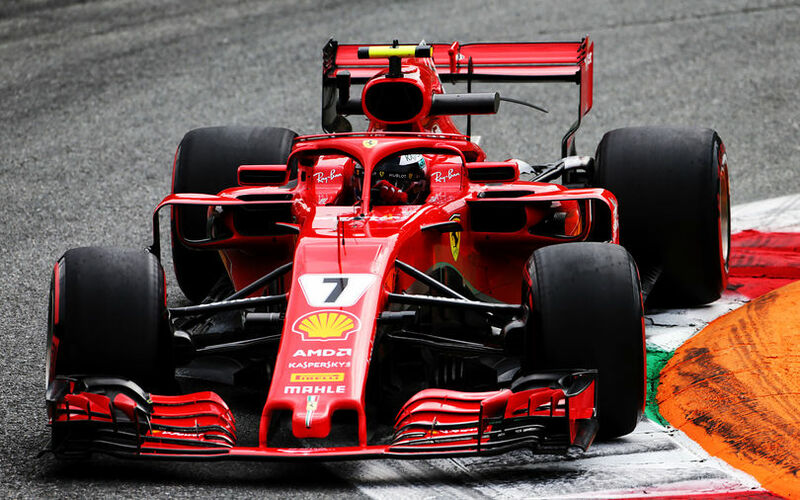 In a consequence, the governing body disqualified the two Ferraris, which handed Häkkinen not only the race victory, but also the championship title with one race to spare. The Scuderia lodged an appeal. The matter was discussed in Paris a few days after, and the outcome was a shocking one: the results were reinstalled and Ferrari was given back its one-two finish. The FIA acknowledged that its measurements were not precise. This could have meant the end of Charlie’s career as the Race Director, but he resisted. The introduction of the ‘halo’ head protection system was Whiting’s last really tough battle. With the FIA, he stood up against – with only a tiny exaggeration – the whole F1 community, including teams, drivers and fans. Following a lengthy investigation, research, testing, the governing body announced in summer 2017 that it would make the device mandatory as of the following season. The head protection system became necessary following three serious accidents over the last decade. The accident of Henry Surtees, the son of the late 1964 world champion John Surtess at Brands Hatch, the crash of Justin Wilson during the Pocono IndyCar race in 2015 and the tragic incident of Jules Bianchi during the 2014 Japanese Grand Prix all ended with a fatal outcome. The FIA felt it needed to act. When it decided for the halo, many were vocal about the danger it carried. According to them, the halo could have deprived the sport of its status as the leading single-seater motorsport category. Whiting always believed in the success of the device and never let anyone question the FIA’s plan. He himself held a presentation to the driver about how the halo would increase the safety. He did not define himself as “workaholic”, however he admitted that he took a look at his emails even before going to bed. Since he had to travel a lot even between Grands Prix, it was not an easy task to create an everyday family with his wife and their two children. He always looked at his mails. That is what made him so lovable and symphatetic among fans, drivers, teams and journalists. He always had a nice word to everyone and always tried to explain if something was not easy to understand. He was open to conversation and loved his job. During race weekends, he was among the first ones to arrive at the track and among the last ones to leave it. The Race Director’s room became more open thanks to him. It used to be a completely closed room that hardly anyone could enter. When he had some time, he was keen on welcome anyone in his room should a question arose. He handled new drivers in the same way as the more established star drivers. Whiting was no strangers to tragedy. At a young age of 38 years, he had to cope with the death of his elder brother, Nick who was murdered in 1990. The whole family went through a difficult period, however they learnt how to move on. „On a personal basis, obviously it affected the family. On a professional basis I don't think it affected my work. Life was quite difficult for a while but we had to get on with it. Certainly Nick would have wanted me to get on with it.